Guiding individuals in discovering their best self through emotional and physical healing. Renew Wellness recognizes how real change comes from connecting the mind, body, and spirit to improve an individuals' overall functioning. Renew Wellness was founded in 2012 by Anna C. Schott, LISW-S and Cassie Starinsky, LISW-S, both of whom worked for many years in a traditional mental health treatment system and found that traditional therapy was not enough. ​Using their knowledge, skills, and passions, Anna and Cassie embarked on a journey to find the most comprehensive and transformative methods of healing, through evidence based treatment methodologies, yoga and meditation, and other wellness interventions. Renew Wellness represents this collaboration and recognizes that the most dynamic healing comes from connecting the mind, body, and spirit. Since 2012, Renew Wellness has grown from a two-woman show in a small office suite to having two locations in Gahanna and Grandview, a full yoga studio, and 16 therapists. 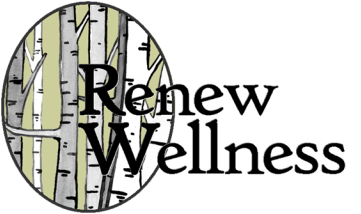 Renew Wellness recruits like-minded, independently contracted practitioners, who utilize a variety of modalities and subscribe to the mission statement of Renew Wellness. We help our practitioners build their individual practices so they can guide their clients in discovering their best self.